Plans submitted to the city’s Commission of Architectural Review show apartments with balconies set back from the building’s street-lining footprint with varying rooftop heights and facades. The plans, designed by Poole & Poole Architecture, show the apartments would average 710 square feet in size and encircle a courtyard with a fitness center and club room. The project would be comparable to another Fulton Hill project that added 12 apartments on top of the Glavé & Holmes Architecture building at 21st and Main streets. That project, undertaken in 2016, expanded Fulton Hills’ adjacent Haxall View apartments. The Canal Crossing plans were submitted to CAR for conceptual review, an advisory process that does not involve approvals and is intended for the commission to provide initial feedback. 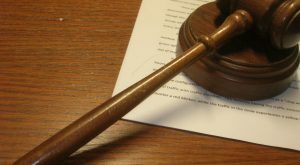 The project would come back to the commission for final review and would require a certificate of appropriateness before a building permit could be issued, according to review guidelines for projects in the city’s old and historic districts. During the conceptual review session at the commission’s meeting last month, several members asked for a greater building setback and took issue with its appearance in relation to the industrial-style warehouse below. City staff said the proposal does not meet all of the guidelines but would be appropriate given the location’s visibility and consistency with existing building heights. Staff suggested that Fulton Hill consider adding to the setback or staggering the top floor height to further limit visibility from the street. Reached Monday, Freund said the feedback would be worked into the project, which she described as driven in part by Canal Crossing’s proximity to the GRTC Pulse bus rapid transit line. Freund developed Canal Crossing in 2002, rehabbing the two-story former tobacco warehouse and connecting it via an atrium to a neighboring five-story warehouse, which dates back to 1916 and was one of several buildings formerly owned by Philip Morris. 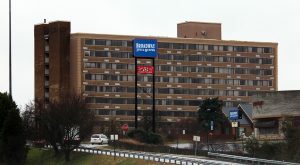 Last year, the complex was under contract to be sold to a group that included Duke Dodson, president of Dodson Development Partners, but the deal never materialized. 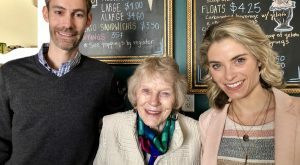 Dodson has shown an interest in the Shockoe area in recent years, most recently picking up three Cary Street buildings a block west of Canal Crossing in a $6.8 million deal with DagDor Investments in January. 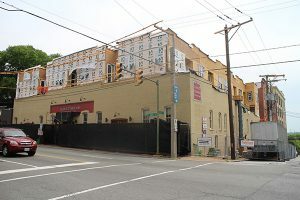 A project description submitted with Fulton Hill’s plans states the addition above the two-story warehouse would remain below the height of the five-story building and match the height of two nearby buildings. The plans include two options for façade designs and colors: one described as a rust pallet option and the other a gray pallet, each referring to the five-story brick building or the two-story stainless-steel structure. The proposal comes at a time of increased activity at Canal Crossing, where several tenants have been coming and going in recent months. While Baskervill is moving out, another architecture firm, RRMM Architects, moved in last year. 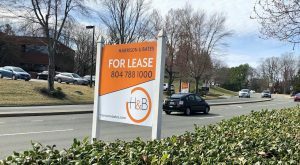 Other tenants include mapping firm WorldView Solutions and brewpub ShipLock Brewing, which moved into the former 7 Hills Seafood & Brewing Co. space in December. Fulton Hill is wrapping up one of its biggest projects to date: the $40 million Artisan Hill development consisting of 204 apartments and other uses beside the Fulton School east of Rocketts Landing. 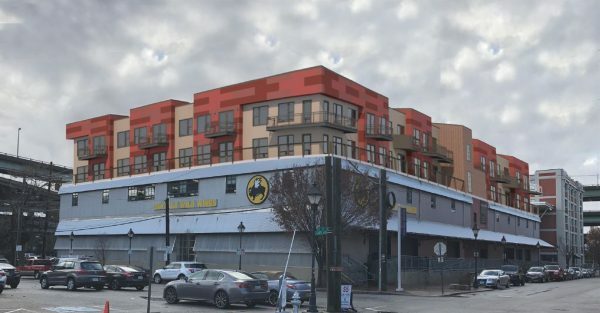 5 Comments on "Freund plans to go vertical with new apartments above Shockoe’s Buffalo Wild Wings"
I’m sure Poole&Poole will make it very nice but I’ve never seen a Midlothian townhouse development that looked that. Margaret Freud always has something going on. She never sits still. Shockoe Bottom and Manchester have already been burdened with cheap, ill-conceived apartment builds. What’s one more? Exactly. Those blocks between 14-16 are a train wreck of drunk garbage with no parking for actual residents. karl…could not agree more. It seems that most apartments built in the area are desiged in an uninspired, cheap looking fashion that will not age well. Driving past Shockoe Valley View Apartments today, I thought they looked hideously ugly and incredibly cheap. Most everything going up is so sad for the area… a real missed opportunity.